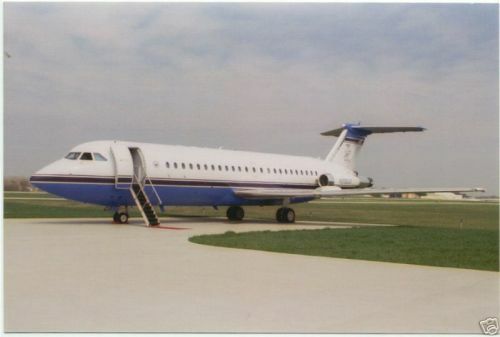 Airframe: N200EE, BAC 1-11 212AR has only 15,300 Hours Total Time, with 8600 landings. 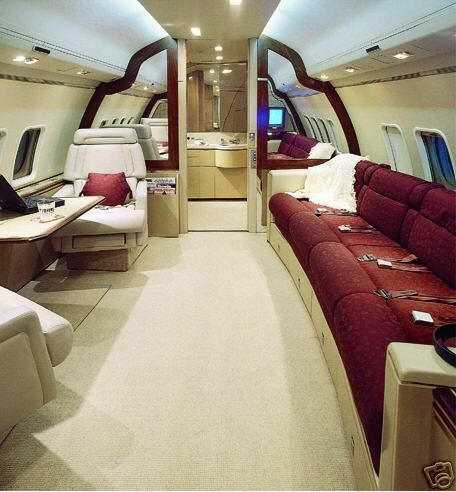 This aircraft has never seen airline service, it has been a corporate ship since manufacture. Engine 1 has 304 Hours since overhaul, Engine 2 has 1174 since overhaul. All radios and avionics are dual collins. This aircraft is equipped with SELCAL, HF, GPS, TAWS, etc. Engine(s): Aircraft meet the Stage II noise requirements. NOT RVSM equipped. Maximum Takeoff Weight is just under 75,000 lbs. Total fuel capacity is approx 25,000 lbs. The endurance with reserves is approx. 4 hours at 400 knots true. No-wind range at FL280 is approx. 1600NM. The Engines are the Rolls Royce Spey which are the same power plant utilized by the Gulfstream II and III. The cabin size is 6 feet 4 inches tall, 10 feet 3 inches wide, by 51 feet 7 inches long. 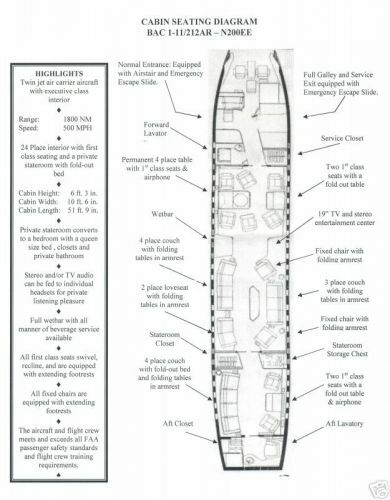 There are 2 cargo holds the forward is 354 cubic feet, the aft is 180 cubic feet. Avionics: This aircraft is equipped with SELCAL, HF, GPS, TAWS, etc.